Technical defences, even constructed across a range of technologies and vendors, are no longer failsafe. The best defence against cyber threats is therefore preparation for the reality that a cyber-attack will be successful. 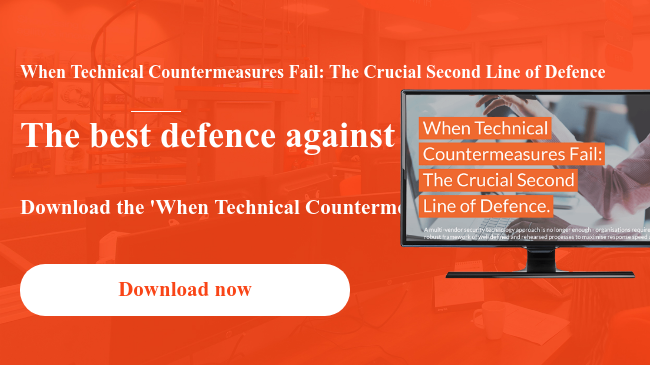 Experienced cyber defence teams know that the hour following the detection of a successful cyber-attack is critical: rapid containment gives defenders a huge advantage in limiting the impact and damage. A well-considered and rehearsed second line of defence encompassing a robust framework of processes to maximise response speed and effectiveness when technical defences are breached is therefore critical. Littlefish employ an established cyber response process known as the Critical Hour Framework. This acts as the operational plan for attack response, clearly establishing responsibilities, processes and a chain of command. The Littlefish Critical Hour Framework is tailored to your organisation’s security technologies and controls, acting as a crucial second line of defence. It enables your organisation to be completely prepared should your technical countermeasures be breached, so you can respond rapidly, in an effective and controlled manner - improving your containment timescale and reducing the impact and damage caused by a successful attack. Robust framework of well-defined and rehearsed processes to maximise response speed and effectiveness when technical defences are breached. The framework is tailored to your organisation’s blend of security technologies and controls, allowing you to achieve optimal response from the tools and functionality that you have in place. A coherent and well-executed critical response plan will reduce the potential operational, financial and reputational impact of a successful cyber-attack.